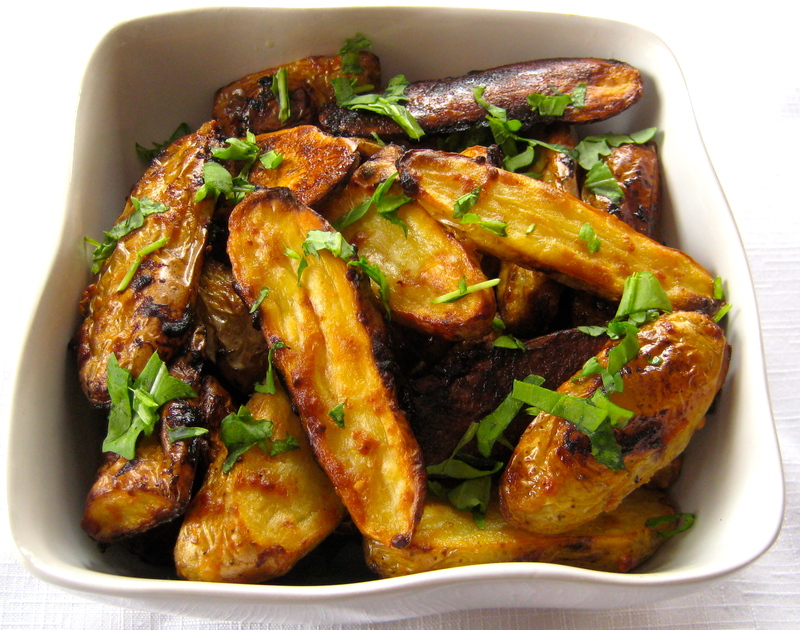 Side dish, snack, or appetizer, tender potatoes highlight the sweet-tang of maple mustard. For something a little extra, serve with additional Maple Mustard for dipping. If you can’t get your hands on the stuff, just mix together a stone-ground mustard with amber or dark maple syrup for the same effect. For this dish, I was writing an article featuring White Meadows Farm and their Maple Mustard. Preheat the oven to 425 degrees F. Line a baking sheet with aluminum foil. Put the potatoes, olive oil, and maple mustard in a bowl. Mix until the potatoes are well-coated. Spread the potatoes in a single layer on the baking sheet. Sprinkle with salt and pepper. Bake for 40 to 50 minutes, until the potatoes are tender and roasted. Add salt and pepper to taste. Garnish with parsley before serving.